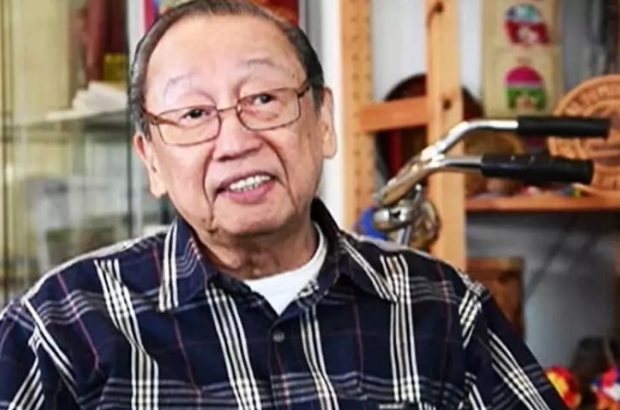 Exiled Communist Party of the Philippines (CCP) founder, Jose Maria Sison, has colon cancer, President Rodrigo Duterte himself revealed on Monday. “Sison is sick, may colon cancer…” Duterte said in his second State of the Nation Address (Sona) as he urged the communist leader to just surrender. Before this, the President stood by his decision to end peace talks with the communist after a series of attacks against the government troops, even his convoy. “This is my proposal, I may be totally wrong and I will accept it… from now on I will save money for the Armed Forces of the Philippines. We have lost so much soldiers and there are thousands already incapacitated to fight, pati yung police ko araw-araw ninyong ina-ambush pati yung convoy ko…,” Duterte said. “Pati akong…gago…pati ako Patayin…sabagay malayo ako dun e. Pero convoy ko kasi yun e…Gago pati yung convoy ko ambush-in. Hindi nila alam na nakasibat na ako,” he said, eliciting laughter from the audience. Oddly, Duterte even advised Sison to drink Tang orange juice. “Sumobra kayo. Ikaw Sison.. mag-inom ka ng Tang yung orange … matanda ka na,” the President said.